LGFCU received a federal charter on March 24, 1983. It’s important to the story to know we received a federal charter. Why? Because a federal charter means we can serve members across the United States, but we made a careful decision to focus in on our home state of North Carolina. That’s how important our members are to us. And how much we love BBQ. Our relationship with SECU has remained strong since those early days. So strong, in fact, that our members are served through SECU’s network of nearly 1,100 CashPoints® ATMs and 250 branches across North Carolina. From Murphy to Manteo, when you see a CashPoints® or SECU location, LGFCU members are welcomed. LGFCU is a not-for-profit cooperative. That means that everything we do is driven by our mission to improve the lives of our members, not driven by the need for a CEO to sail around the world on his gold-plated yacht. It also means that each of our members is a stakeholder in LGFCU. Every member gets a vote. Every member helps to decide and shape our future. Our community: Our mission is to support those of you who work for and in our communities. So it’s no surprise that we have a strong community focus here. We’ve raised a combined $2.2 million for the North Carolina State Firefighters' Association, the North Carolina Association of Rescue and EMS and the North Carolina Recreation and Parks Association through affinity debit cards. 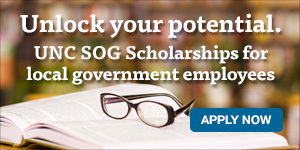 We offer college scholarships for students and professional scholarships to attend programs at the UNC School of Government and the Public Safety Leadership Initiative at North Carolina State University. So far we’ve awarded more than $1.2 million to our members to help them advance their education and careers. It’s about more than money; it’s about supporting the foundation of strong communities. Our statewide Shred Events help you dispose of your personal and confidential documents safely. And shredding your documents is an environmentally friendly alternative to landfills. Financial education: We want members to have access to free financial information from experts anytime, anywhere. You’ll find helpful articles online or in the monthly printed Aim magazine. Teens can participate in our interactive financial experience The Real Deal. 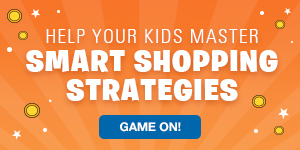 It’s a fun way to help them learn how much life really costs. And we even focus on our youngest members throughout the year, but especially during National Credit Union Youth Month. Volunteers: We love volunteers so much that we extend our membership benefits to volunteers of local governments and public hospitals. And we really love the member volunteers who keep LGFCU running every day. From our volunteer committees to the Advisory Council to our Board of Directors, it’s volunteers who are the lifeblood of our company. You: We hope it’s clear by now how important you are to everyone at LGFCU. We know the job you do protecting and serving our local communities is important, and we want you to be able to focus on that, not worry about hidden fees or not being able to pay your mortgage. Our day-to-day work revolves around serving your needs and helping you manage your finances in convenient and affordable ways.